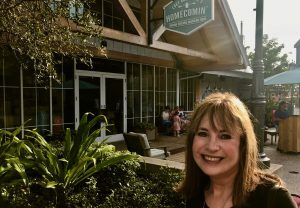 Down-home southern cooking doesn’t get any better than Chef Art Smith’s Homecomin’ at Disney Springs. Settled in the early 1600s, Portsmouth and surrounding towns make up a vibrant, New England coastal destination with a stellar arts and culture scene, unique locally owned shops and restaurants. Weight loss: It’s all in the plate color? Giant portion sizes are one of the culprits behind the epidemic of bulging waistlines, and nowhere is the portion-creep more evident than in restaurants. Dieters can’t believe everything they read: The food at many popular chain restaurants and in the freezer section of the supermarket may contain a lot more calories than advertised.